Making harassing or obscene phone calls is a crime in Florida per F.S. 365.16. Although technology that enables us to make phone calls isn’t new, the increased accessibility and ease of use means we’re seeing this crime charged more frequently. Unlike years ago, when people had to first get to a phone before initiating the communication, people now carry their phones with them all the time. There is an immediacy to it that deprives people of the time to cool off or more carefully think their words – and how they may be perceived. 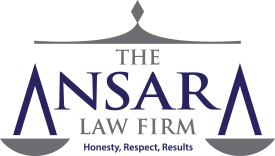 At The Ansara Law Firm, our Fort Lauderdale criminal defense attorneys know there are a number of scenarios in which this crime could be charged, and offenders face up to two months in jail. On top of that, a conviction on this charge on one’s permanent record will undoubtedly result in awkward questions from future employers and others. It’s important to talk to a skilled defense lawyer about your legal options. What is a Harassing or Obscene Phone Call? There are basically four different scenarios in which one can be charged and convicted under F.S. 365.16. The statute is modeled almost verbatim after federal law in 47 U.S.C. 223(a). By using such language, defendant intended to annoy, offend, harass, abuse or threaten the person on the receiving end of the call. Defendant intended to abuse, annoy, harass or threaten any person reached at that number. These repeated calls and continuous ringing are carried out with the intention to harass persons on the other end of the line. Defendant’s sole intention in doing so is to harass the person on the other end. In each of these cases, the offense is considered a second-degree misdemeanor, which carries a maximum penalty of two months in jail, two months of probation and a $500 fine. There is a fifth crime that involves someone who owns or has control of the phone being used to harass, but isn’t actually involved in the act. F.S. 365.16(2) states anyone who knowingly allows a phone under his or her control to be used for any purpose that is prohibited in that statute may also be found guilty of a second-degree misdemeanor. In the ordinary course of business or commerce (so telemarketers are safe). The validity of the statute was affirmed in the 1995 Florida Supreme Court case of Gilbreath v. State. The court in that case did, however, hold that the terms “offend” and “annoy” weren’t necessary as elements of criminal intent that could sustain such a charge because the terms had an indefinite meaning that could result in subjective, vague connotations. This statute has been challenged over the years, not only on constitutional questions, but on practical matters too. It has withheld these challenges. For example, state courts in other jurisdictions with identical statute wording – which in part holds that the caller does not disclose his or her identity – is in itself something that causes such fear and discomfort that virtually any willfully bad motive in making the call should be punishable. Courts equated “not disclosing identity” with “anonymous,” which means even if the identity of the person calling is obvious (i.e., an ex-spouse, estranged business partner, etc. ), they can still be prosecuted. As you can see just in these few examples, the crime of harassing or obscene phone calls is more nuanced than it might appear on the surface. Contact an aggressive criminal defense lawyer to help you defend your rights and best interests.